I enjoy attention, cake, television, running & games. Keep on keepin’ on. Clever, fresh approach. I dig it. BRILLIANT blog! Keep ’em coming. Love you insanely. More than Lego. I’m a nanny to three 2 year old girls (a bio daughter and adopted twins.) We all want to thank you for your very helpful tip and updates. They give me good rules to follow so that my girlies have a wonderful time each day. p.s. We have all kinds of good snacks over here. If you ever feel like you mom is holding back, tell her to bring you over. You can tempt her with wine. Kudos. Honesty fades as we age, it’s truly something to treasure. As I have a school ager, preschooler, and toddler, I believe we have some interesting observations to look forward to you as you mature and learn how to pronounce things like “you don’t look awesome in that dress” or “your tummy looks like it’s ready to have another baby Mommy” or “I can’t tell, is our waiter a man or a woman?” I can barely stand the anticipation!! Where is the older one? I read there was one. Our mommy keeps referring to her “baby weight.” We are concerned because it seems like she’s blaming us for something. I don’t think we did what she thinks we did. You should know that I have seen the unmistakable remains of a milk and cookie snack on her computer desk most days when I wake from my nap. How can we get her to stop blaming us? Big fan. I am 2. It’s bad enough my mommy brought home an infant, but now she tells me I have a cousin. I was the only one for Nana and Papa to love for 21 glorious months. How can I keep the attention on MEEEEE!!?? Get rid of the baby. Then handle the cousin. I know that over-praising you will make you spooned and apathetic, but I’m not your Mom, so I don’t care. Here are two shiny, sugar-coated awards for your blog which has made this mum shoot coffee out of her nose more than once. I *love* your blog. I laugh, I cry, I wet my pants. Beautiful stuff. Thank you for taking the time to share your genius. I’m almost two and don’t get this whole brushing teeth business. Mom and Dad say it’s to get rid of sugar bugs – I’m skeptical. And saying cheese never, ever results in getting me any actual cheese. I know, heartbreaking. What is your experience on this subject? If you’re in the mood, visit http://www.chiterature.com. It’s full of reading tips and suggestions. Don’t worry, I make parents read with their child. Let me know if you like it! We have 2 children: 2 & 8 mths old. I don’t know how the idea of this blog popped into your head, but this is hands down the most entertaining blog I read. Thank you! Thank you! for providing me a mechanism to laugh at my little girl’s toddler antics rather than pull my hair out screaming. You have an amazing blog here. I’m sure that you are working hard daily. Keep on doing it! Miss T (3) is clearly one of your henchmen. She has instructed me, through stamping her feet and crying randomly, to ask what is the mathematical formula she should use to calculate the most annoying time to throw a tantrum during the day. No need for the nighttime advice, she has already figured out the formula for frequent waking which is working a treat. She eagerly awaits further instructions from you. I love this blog – congrats on your success, HT! Saw this just now and it seems like your kind of jam. Hi, really enjoy your blog. Brilliant! That gave me inspiration for my blog, a share of dream and small miracle in my life. 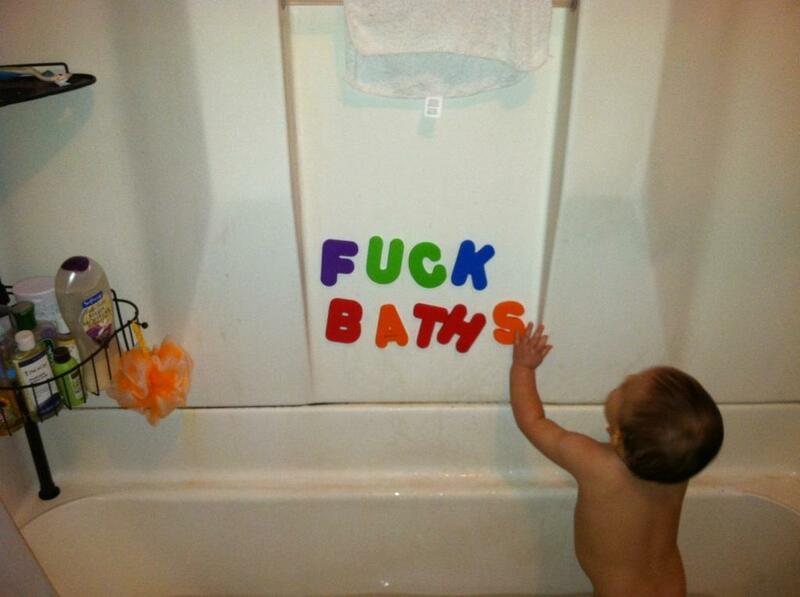 Honest Toddler. Thanks for the advice. I’ve really started to get a handle on this living thing in the last six months, but after reading your blog I’ve become very excited about getting older. Can’t wait until these teeth come in and I can eat crackers too.